Mönchengladbach - In signing Thorgan Hazard from Chelsea FC on a permanent deal, Borussia Mönchengladbach have acquired the services of one of the game's brightest attacking prospects; one, moreover, with the potential to invoke memories among Foals fans of a former favourite now plying his trade with the 'other' Borussia. The younger brother of Eden, already an established star at Chelsea, Thorgan is in the fast lane to the very top himself - as evidenced not least by his picking up the Belgian league's 2013/14 Player of the Season award to close out his second year on loan at SV Zulte Waregem. With all his previous senior league experience having been in France and Belgium, Gladbach and the Bundesliga now represent a different order of challenge. Hazard, though, is well prepared for it. 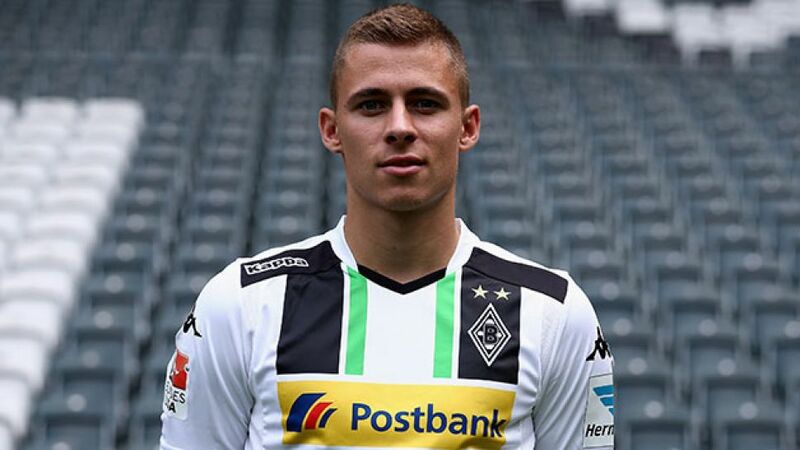 The second-eldest of four brothers born to parents who are themselves both ex-footballers, Thorgan took his first steps in the game with hometown club Royal Stade Brainois at the age of five. After four years in the youth ranks of professional outfit AFC Tubize he continued his development a short hop across the border after being snapped up by RC Lens. A further four years down the line he made his French Ligue 1 debut, aged 18, at the start of the 2011/12 campaign. The following summer, Thorgan joined Eden at Chelsea, only to be promptly farmed out to Zulte Waregem in order to gain more first-team experience. It was an arrangement that benefited all parties considerably, not least Waregem. The modest provincial side claimed a surprise second-place finish in the Belgian Pro League with Hazard, a first-team regular from the off, chipping in with three goals and six assists. The initial one-season deal was extended to two, by the end of which the dynamic young attacker had accumulated 73 league appearances, netting 18 goals. A Belgium international at every level from U-15 upwards, he duly made his senior debut in a friendly win against the USA in May 2013. Included in the extended squad for the 2014 FIFA World Cup, Thorgan did not quite make the cut for Brazil where Belgium, tipped by many as dark horses to go all the way, were narrowly ousted by Argentina in the quarter-finals. Now, the youngster who, in his own words, “can play just about anywhere up front” is ready to take the next step up with Gladbach. By his own admission, he was not overly clued in as to the club's long and proud tradition prior to his arrival on an initial season-long loan deal in the summer, but naturally enough, “I know that Marco Reus played here.” The current Dortmund and Germany star made his big-time breakthrough as a 20-year-old at the Borussia Park. Neither Gladbach nor the young Belgian himself would have any objection if Thorgan Hazard were to follow even approximately in those distinguished bootsteps.